In Asaami Asaami, PL has made one statement through the protagonist DB Joshi that no one needs to do anything special to keep this world going. (Ref; He wonders how his Benson Johnson company runs without anyone doing any significant work). In fact this fictional statement is exactly opposite to the entire life and philosophy of PL in person. This statement can be interpreted as totally sarcastic. Sarcasm of PL is inherited from his role model P G Wodehouse who while being totally elitist in his approach as he depicted castle and lords of Victorian England. But then he was the most scathing critic of that class. In same note PL has been branded to be Middle class icon. Though PL is not ultra critical on this wrongfully maligned community but nevertheless has some master strokes of self deprecating humour. 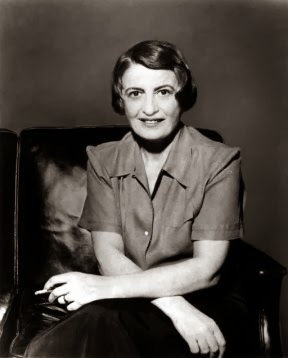 Going back to topic of world surviving on hard work of few, no one in literature has described it as strongly as Ayn Rand and her objectivism philosophy. Her thoughts have had a great impact on me personally. I do not totally agree with Ayn Rand on every aspect and I sense a lot of immaturity in her writing (though I don’t claim to be arm chair philosopher or great reviewer and it’s my personal observation as I stand nobody in comparison to stature of Ayn Rand) and black and white portrayal of characters which in real life which you cannot. As I complete 20 years of my first reading of Fountainhead, especially since its Durga Pooja time, some very fond memories rush back.